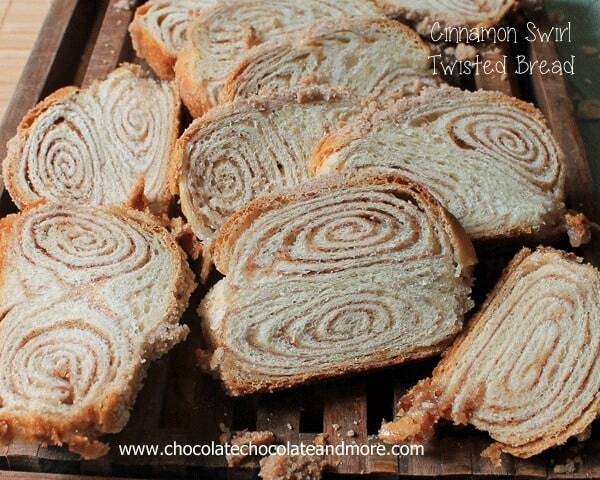 Cinnamon Swirl Twisted Bread - Chocolate Chocolate and More! 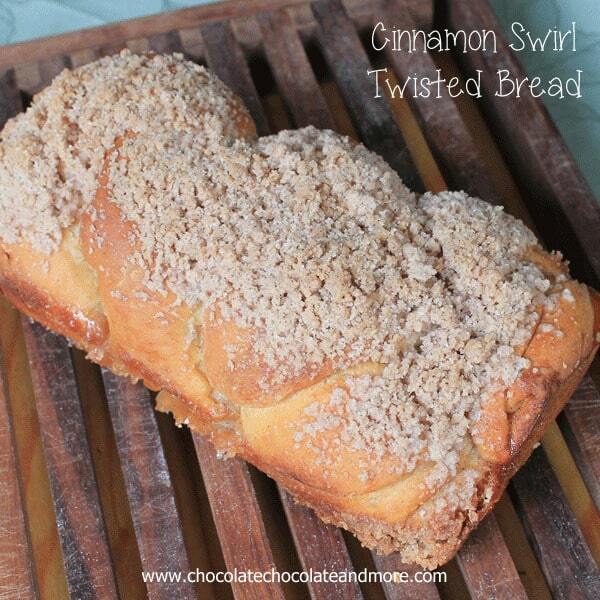 Cinnamon Swirl Twisted Bread-you won’t believe how easy this bread is to make! Sometimes you just need to get in the kitchen and bake. This bread is a result of that. I was in a bread baking rut. Not really a rut but I hadn’t baked bread in about a month. I missed playing with yeast. There’s just something about kneading bread dough mindlessly for 8-10 minutes. Forced to stand still with my hands occupied. The rocking and rolling movement of the dough against the counter. It forces my mind to slow down. Yeah, I might be a bit ADD. It’s hard for me to just stand still and not be doing 10 things all at the same time. It doesn’t mean I do them all well, mind you, but I keep trying all the same. I’ve tried to get organized about it. Create lists. But then I misplace the list, or I do half of the list and then run off on some tangent that kinda, sorta related to one thing on the list. There used to be a term for this odd behavior when I was younger. Scatterbrained. Now I just look on it as my creative side over-running the logical side. I still keep lots of lists, I just don’t stick to them very often. Wanting to get my hands into some bread dough, I thought of my Chocolate Babka but knew I didn’t want to spend all day making bread. I wanted it now, or at least in a few hours. 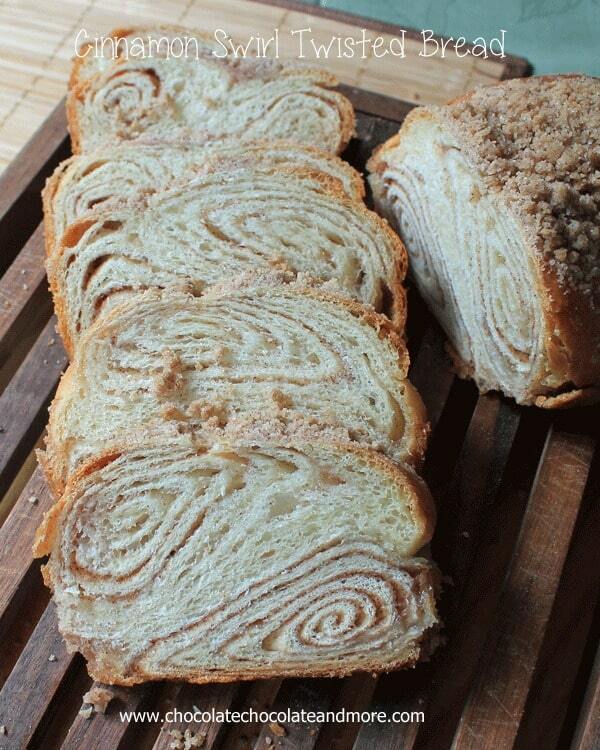 And then it hit me, why not just make a Cinnamon Bread and give it a twist? Bread dough is so giving, after all, we knead it for 10 minutes, a little twist won’t hurt. I may twist all my doughs from now on! In a microwave proof bowl, heat milk, butter, sugar and salt just until butter is melted, it the microwave, about 90 seconds on high. For the filling, stir together cinnamon and sugar, set aside. Using a pastry blender combine topping ingredients until well combined and crumbly. set aside. Punch down dough then remove from bowl and divide in half. 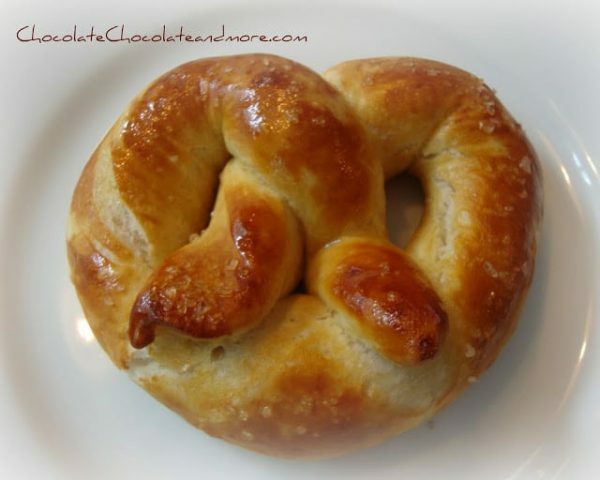 Place twisted dough in a well greased loaf pan. Cover with damp dish towel and repeat with second half of dough. Let rise for about an hour in a warm location. Using remaining melted butter, brush tops of loaves with the butter then cover with the topping. Bake in a preheated 375 degree oven for about 40 minutes. Let cool in pan for 20 minutes then carefully remove to racks to cool completely. Need more yeast in your life? This looks awesome! I love how thin the layers are! 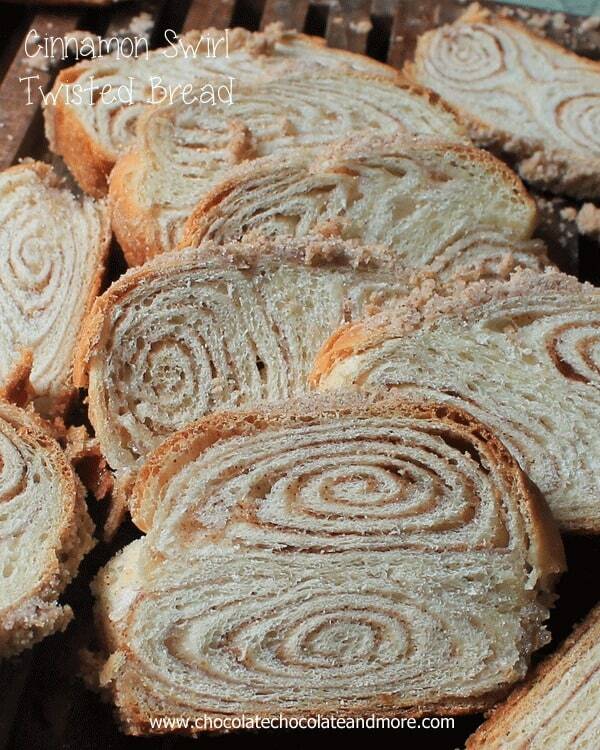 This bread looks absolutely amazing and fluffy! Love! This bread looks delicious! 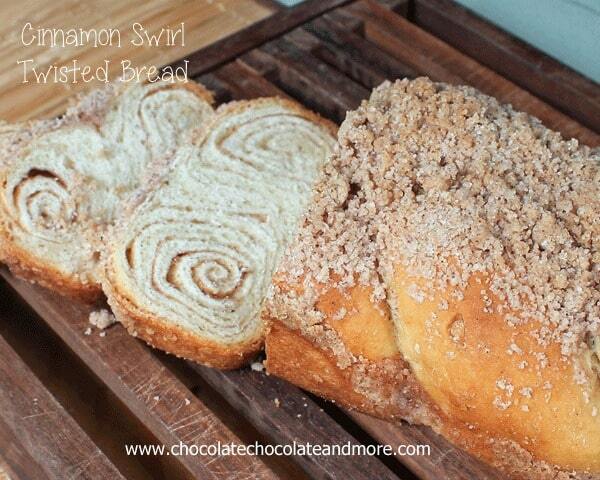 I love cinnamon bread but have not attempted to make it myself! This bread is so cool looking! I’m going to put this on my To Do List! Not only does this sound wonderful it looks perfectly beautiful!! You are so talented. I’ve never seen anything quite like this. I absolutely love it. And you’re lucky. Bread dough isn’t always so giving for me, even if I knead it for 10 minutes. The darn stuff has a mind of its own. This looks beyond fantastic, Joan! THIS is exactly what my mornings need!!!! Obsessed with this beautiful delicious bread! 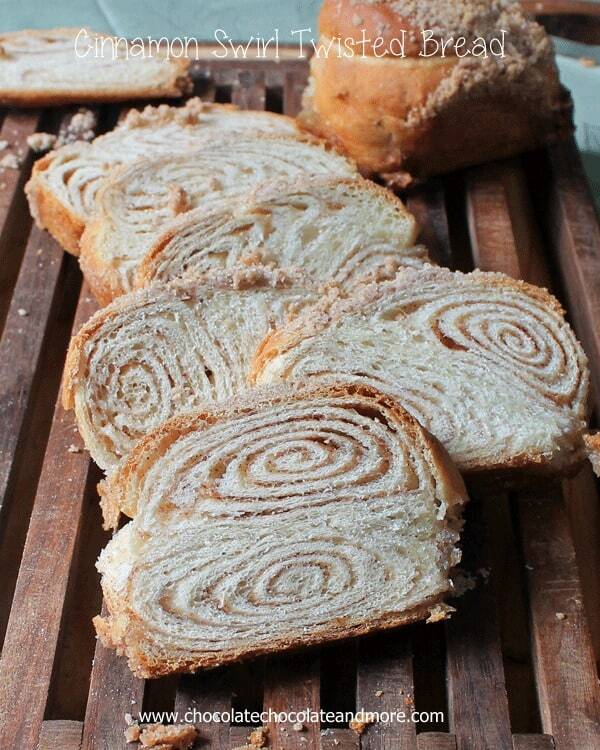 I love cinnamon and I love things that swirl…I’m totally enamored with this bread! Thanks Kari, I was pretty in love with the swirl too! I just made this bread and it turned out great! Posted pic of finished loaf on my Facebook page! Thx for the recipe! Sounds yummy. Can you make the dough in a bread machine then follow the steps to finish it? Would you need all the flour to do this? Hi Maria, I haven’t used a bread machine in years but yes, you could easily make the dough in the machine. I’d hold back 1/4 cup of the flour just to be safe. You can always knead it back into the dough when it’s finished if you feel the dough’s too sticky to work with. This bread looks amazing! All those swirls of flavor must add tons of flavor! So Does this make Two separate loads? yes, this will make 2 loaves. Thank you for the recipe, I can’t wait to make it for my family. Can you prepare the bread the night before, refrigerate over night and bake the next morning? Yes, you can. Lightly cover your prepared loaf with plastic wrap, then place in the refrigerator before letting rise. When ready to bake, bring dough back to room temperature before baking. is there a reason you’ve omitted eggs? This recipe doesn’t use eggs. What size loaf pans for this recipe? I’ve used both a 9″x5″ and an 8.5″x4.5″, either one will be fine.